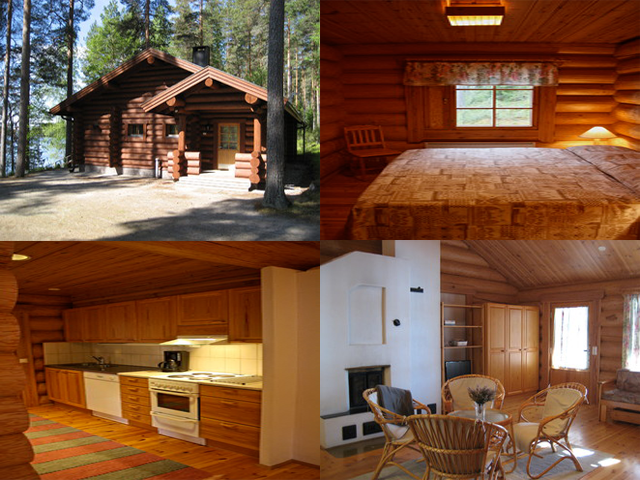 We offer high-quality holiday apartments on the shore of Lake Suvasvesi, 45km away from the center of Leppävirta. The apartments, designed for all year round accommodation are built with traditional methods and with expertise. They feature all needed facilities and equipment for 1-6 people: for example, a spacious sauna, water from a drilled well, heating and a fireplace that stores heat to create an atmospheric evening. The apartments have a jetty and a rowing boat and you can reach all of the apartments by car. The buildings are located close to the southern shore of the lake.